LONDON -- Sales of gasoline-powered cars have overtaken diesel in the first half for the first time since 2009, industry association ACEA said. The shift saw gasoline car sales rise by nearly 10 percent from the first half of 2016, compared with an approximate 4 percent drop in diesel car sales, the group said in a statement on Friday. Diesel's market share fell to 46.3 percent of new-car registrations from 50.2 percent in the first half of last year. In absolute numbers, 152,323 fewer diesel cars were sold, ACEA said. The drop was offset by an increase in gasoline car sales which accounted for 48.5 percent of sales, up from 45.8 percent. This translates into 328,615 extra gasoline cars sold year-on-year. Sales of "alternative" vehicles -- hybrid, electric, LPG (liquefied petroleum gas) and natural gas-powered ones -- also rose by more than 35 percent to account for 5.2 percent of total car sales. The mayors of Paris and Athens have said they plan to ban diesel-powered cars in city centers by 2025 because of their high NOx emissions, while France is also making plans to reverse favorable tax treatments for diesel. Some expect other European governments to follow suit. 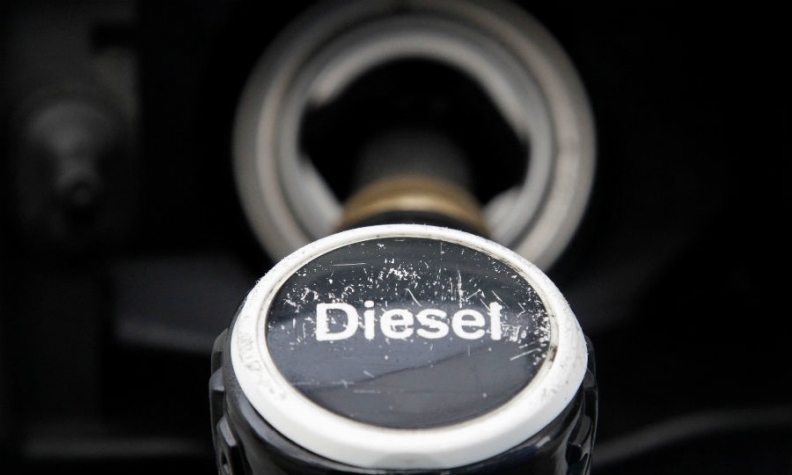 Even car manufacturing centers such as Stuttgart and Munich have mulled diesel engine bans. ACEA cautioned the shift to gasoline engines could make it tougher for Europe to meet CO2 reduction targets that start to take effect in 2020. "Policymakers need to be aware that a sudden shift from diesel technology to petrol will lead to an increase in CO2 emissions," ACEA Secretary General Erik Jonnaert said. Jonnaert also called on governments to do more to promote "alternative" cars. Sales of hybrid electric vehicles rose 58 percent in the first half, and electric-car sales rose by 37 percent, but the groups still account for just 2.6 percent and 1.3 percent, respectively, of total car sales.